One of the most iconic guitar amplifiers of all time is the 100 watt Marshall “Super Lead” amp, model 1959: 4 inputs via normal & high treble channels with 3-band passive EQ & active prescence controls common to both channels. The 2 channels are often patched together for greater depth of tonality and greater control, like a “pre-EQ”. Many purists believe that 1976 is round about the last year that the really great Marshalls were built. The hardliners think that anything built after 1973 is crap ! This particular example is the JCM800 version of the 1959 and it really sounds phenomenal ! Of course, it’s way too loud for most players, but the customer who owns this amp is putting together an Eddie Van Halen tribute, and this amp is perfect for the job. Scott brought the amp in to bring it up to performance standard to facilitate rehearsals for the Van Halen tribute. The original intention was to install 3 x new 9-pin valve sockets to replace the 3 x really crusty sockets which were installed some years back by a less than scrupulous repairer. 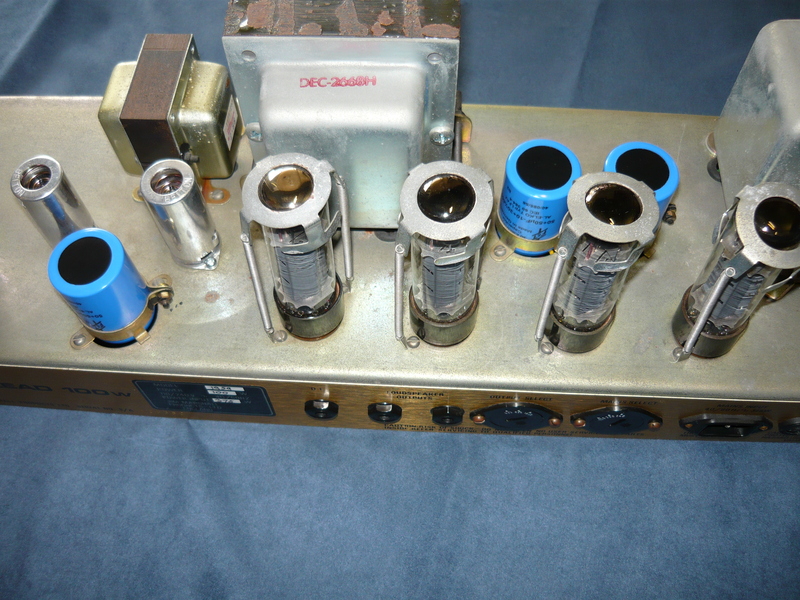 I soon discovered that the 12AX7 valves were weak, noisy and microphonic, so naturally I replaced these as well. As this is already a bright amp and microphony is an issue at such loud playing levels, I selected JJ 12AX7-S valves for the job. Then I realised that the 3 x can mounting 50+50uF/500V electrolytic capacitors were looking very crusty indeed, and were way overdue for replacement. 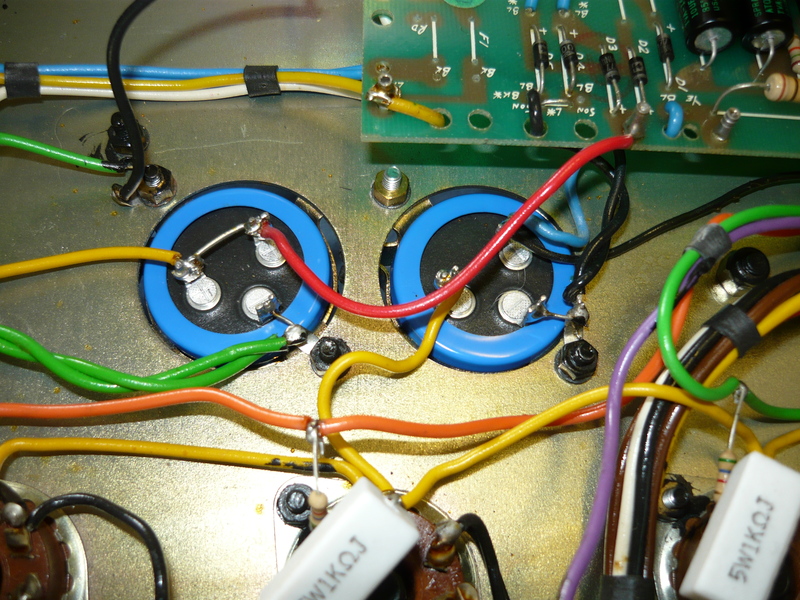 I selected the very fine F&T (W. Germany) capacitors for this job. 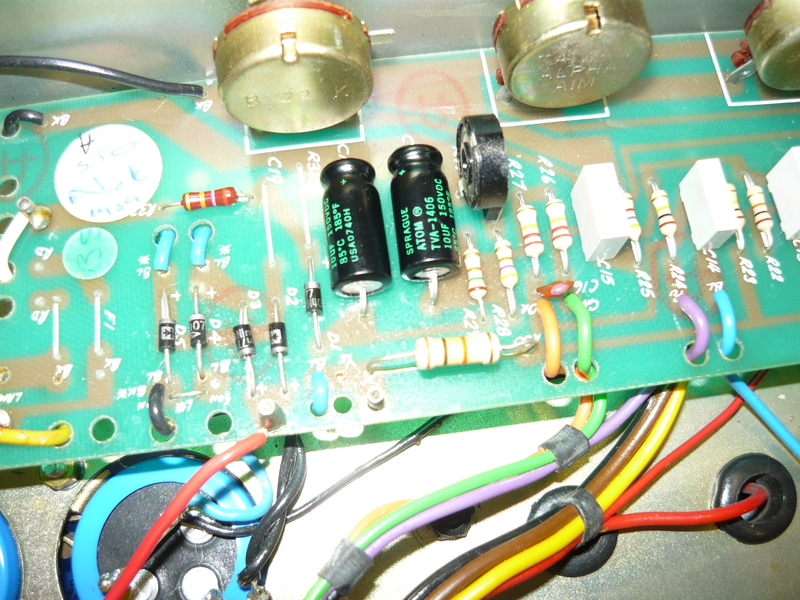 The other important job to be done was replacing the 2 x bias supply capacitors, for this job the very best components are obviously the Sprague Atom 10uF/150v caps, which fit neatly into the available space on the board. After a rebias of the output valves, finally the amp is subjected to a power output test, burn-in test and electrical safety test. My apologies for the crap photography, by the way ! The lighting in my workshop is hardly ideal for amp photos. Maybe I should do a TAFE course in digital photography. 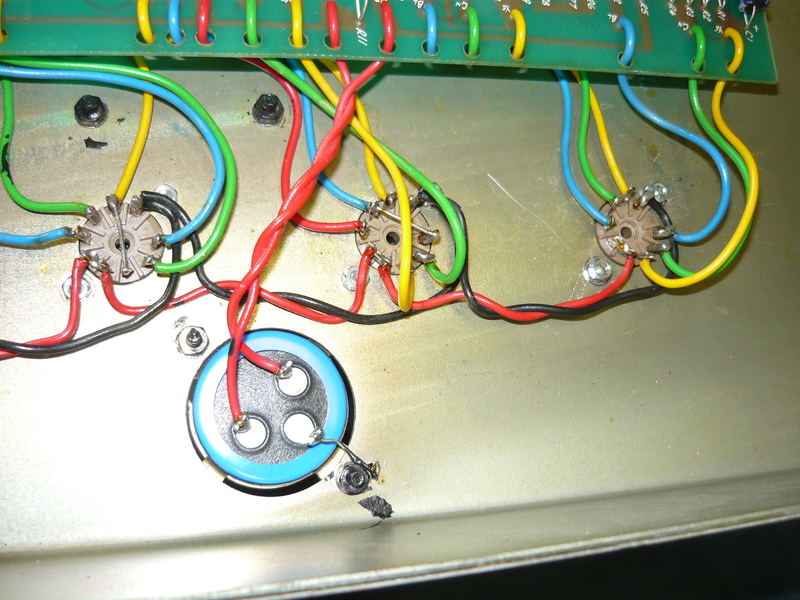 When Scott picked up the amp, he was suitably impressed with the neat rewiring job, and minimal obvious impact or intrusion onto the surrounding wiring and /or circuitry (wherever humanly possible). Many thanks to Scott for his continued custom, and to Jim Marshall for the legendary JMP and JCM800 amplifiers. This entry was posted on May 20, 2011 at 12:27 pm and is filed under Amp Repair. You can follow any responses to this entry through the RSS 2.0 feed. You can leave a response, or trackback from your own site.